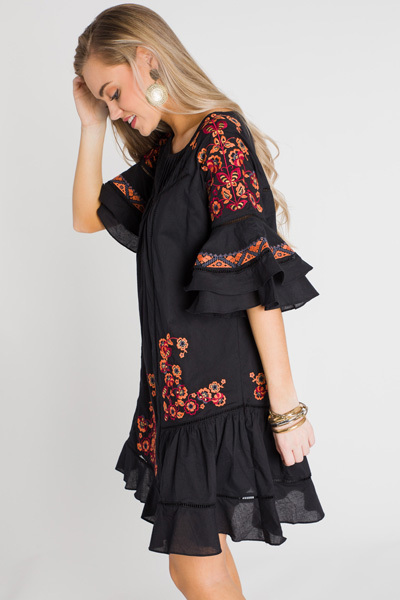 Get ready to fall in LOVE with the embroidered goodness and ruffled details of this dress! 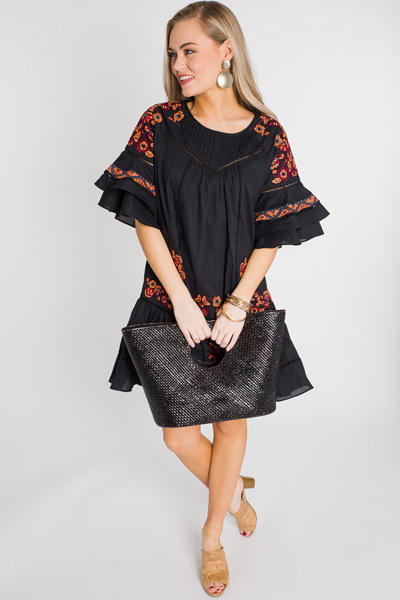 It puts an edgy spin on your typical little black dress, and we are totally on board for it. 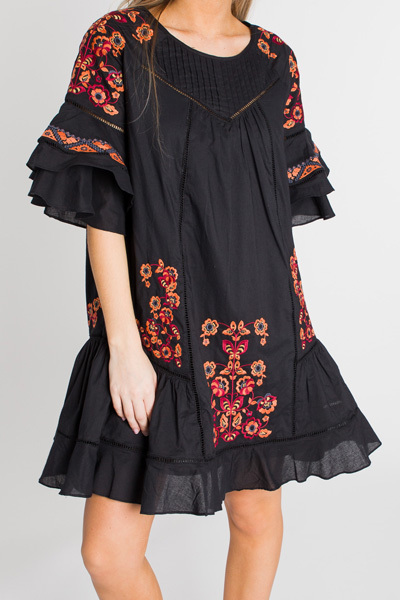 Dress is made from 100% cotton and is fully lined. Keyhole button neck closure.